Aairria, Ananta, and Martin Dot are ambient music projects by one of the most active members of the netlabel community: Marcin Drabot, hailing from Poland. 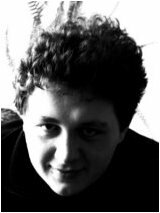 Marcin creates music devoted to a number of ambient categories which include dark, drone, soundscape, minimalism and phonography. Marcin's music is made using only a personal computer. In addition to his work on his various ambient music projects, Marcin also owns and runs the excellent Rain Netlabel, a purveyor of truly excellent timeless ambient music. Earth Mantra is very excited to bring you the music of Marcin Drabot and hope to release much more from this inspiring artist.